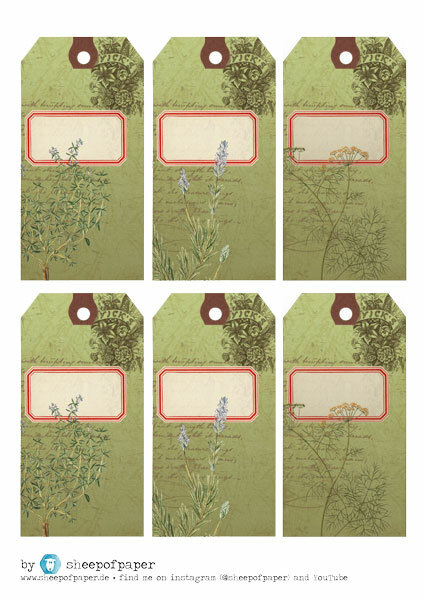 It made me very happy, that so many lovely ladies from the “Foxy Crafters-FB-Group” liked my “Garden Herbs Tags” I did in photoshop the other night. I promised to provide a pdf without thinking about how an where to do so. This was the moment my long forgotten blog came to my mind. Should I? Is this the moment maybe thinking about reviving the whole blog? I had a blog for years until I realised it may will never grow, when I write in german. So I started to write in english and eventually this was the end of it, because I didn’t manage to do it as constantly as it would have been necessary. I’m still not shure but maybe this could be an opportunity. Maybe leave me a comment and let me know if a blog is something you still consider to read or if the “newer” media like YouTube is all you’ll ever need. So if you want to download this JPEG, just klick on the download button under the image. It is an A4-Format, since this is what we use here in Germany, but you can easily resize it to fit on letter size paper. Just click on the download button below and I hope you have fun with these little tags. Please leave me a comment if you enjoyed my work and tag me, if you are posting on instagram (@sheepofpaper), so I can see what you have created. And If you like, please follow me as well. I also would be very happy if you come over to my YouTube channel and become one of my subscribers. It would really mean a lot to me. Thank you Andrea! I love your work and have watched all of your videos. 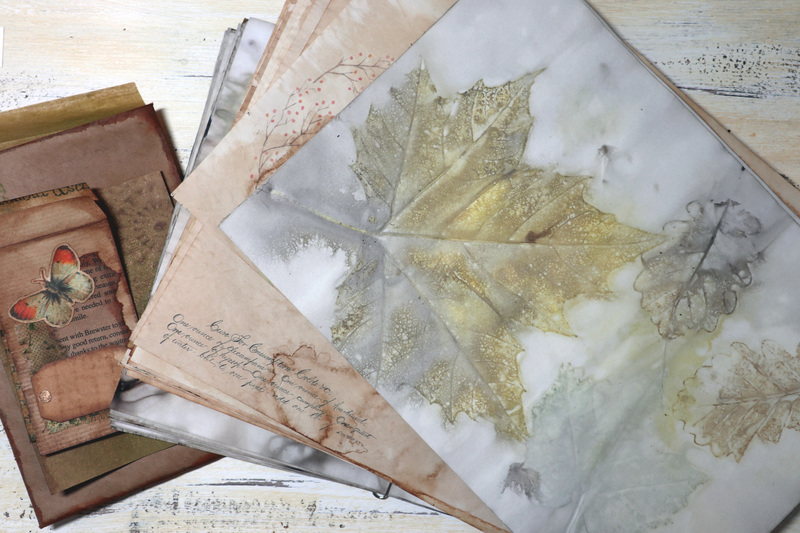 You present something different in this world of junk journals and it is very refreshing!! I have downloaded your tags and will have fun using them. They are delightful. Nice to know you have a blog too! I have watched all of your youtube videos and love the uniqueness of what you do. Thank you so much for sharing. 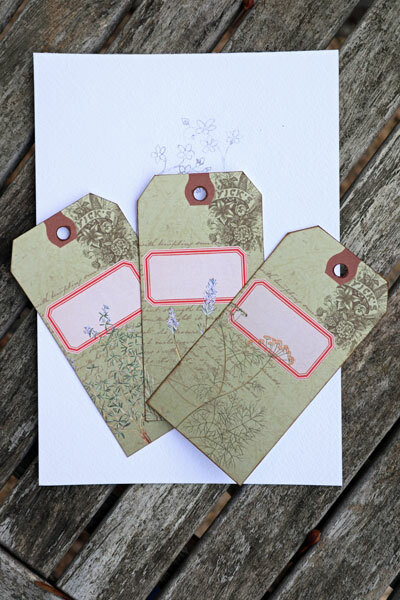 Gorgeous tags!! Thank you so much for sharing them! Thank you so much! If you start blogging again, I would read ❤️ I’m heading over to subscribe to your YouTube channel right now! I’m old school and still enjoy reading blogs! I very much like what art I see on this page and I’d like to see more. Your header papers are gorgeous. Thank you again, Andrea… and I love your eco-prints, those make me want to try it for sure! From one Foxy Crafter to another, paper is the best material there is! I love the tags. Thank you so much! Thank you so much, Andrea! I love them!!! I discovered you via instagram. Thank you for sharing you beautiful tags. I enjoyed you YouTube video and look forward to more of your creativity.